Is your child, grandchild, godchild being baptism and you are looking for a unique gift? This personalized keepsake will become a gift that will displayed for years to come. Personalized with name and baptism date. 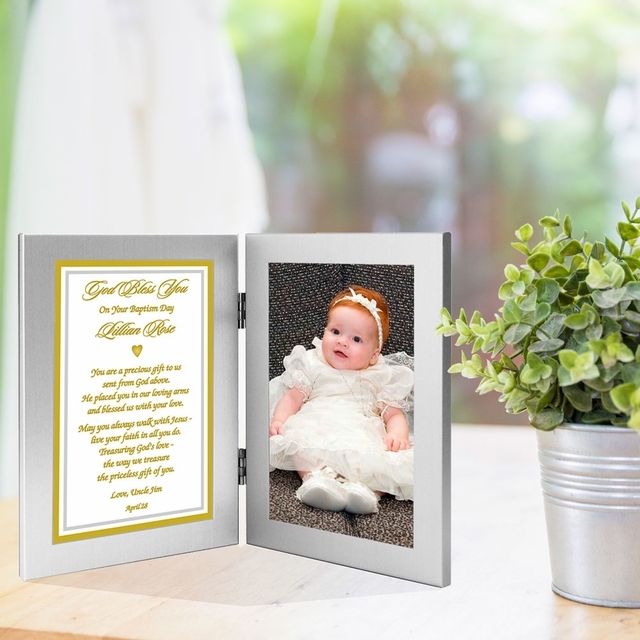 You or the child's parents can easily insert a photo of the child after gift is received. 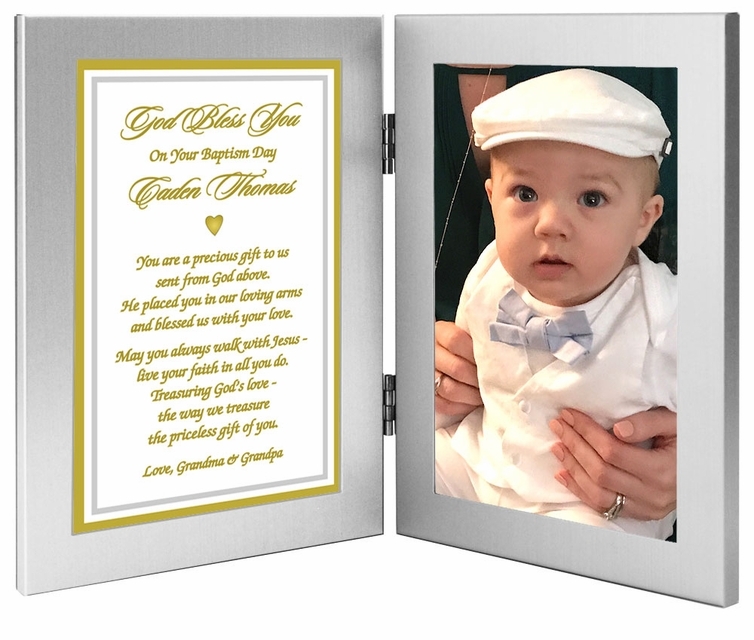 The baptism poetry gift is presented in a double 4"x6" silver metallic frame for tabletop display. Personalize this gift with name and baptism date. the priceless gift of you. Fill in personalization questions above and "Add to Cart.